One or more missing teeth can put a severe cramp in your style, not to mention it can harm your dental health. Dr. Greg Larsen combines more than 23 years in dental practice with a commitment to staying abreast of advancements in dental technologies and approaches. He offers dental implant services to men and women from in and around Sandy, Utah. If you’re looking for a permanent tooth replacement option, and the skill that comes with decades of experience in dental care, schedule an appointment with Dr. Larsen today. 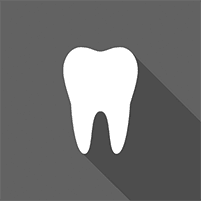 Most people only think about the cosmetic implications of a missing tooth. In reality, however, there are significant health reasons to replace missing teeth. Your teeth are anchored directly into your jawbone. Every time you bite down or place pressure on your teeth, that bone tissue is stimulated. Stimulation helps keep your bone tissue healthy and strong. Without it, your bone tissue can deteriorate (a process known as bone resorption). Bone loss can cause a “caved-in” facial appearance. It also weakens the surrounding tissue, which can lead to even more lost teeth. When you have missing teeth, your remaining teeth can shift out of position, causing problems with your bite as well as your speech. Some people develop temporomandibular joint disorders due to missing teeth. It’s essential to replace a missing tooth as soon as possible to prevent shifting. Dental implants are a permanent tooth replacement option. Because they are anchored directly into your bone tissue, they look and act just like your natural teeth. During a dental implant procedure, you receive local anesthesia to numb the necessary part of your mouth. Dr. Larsen then carefully opens your gum tissue to allow access to the jawbone. Next, he drills a small pilot hole before introducing the titanium implant into your bone tissue. He closes the gum incision, and a period of healing begins. Over the next 6 to 12 weeks, your bone tissue will fuse with the implant material. During your next visit, Dr. Larsen secures a small connector to the implant that will hold the crown portion onto the implanted post. Then his staff makes impressions of your teeth and sends them to the dental lab. Once your custom crown is back from the lab, Dr. Larsen attaches it into position and checks for fit. Once your gum tissue heals around the new crown, your dental implant is complete. For dental implants to be successful, you must have sufficient bone tissue for the implant to anchor to. If you don’t, you may need a bone graft to build up enough bone tissue at the site of the implant. It’s also critical to address any gum disease before getting dental implants. Dr. Larsen can help you boost your gum health in preparation for a new dental implant. During your initial consultation, Dr. Larsen determines if dental implants are a good fit for your needs. If there is any reason why implants may not be best for you, he discusses other tooth replacement options and helps you decide how to proceed. If you would like to learn more about dental implants, schedule an appointment with Dr. Larsen as soon as possible.